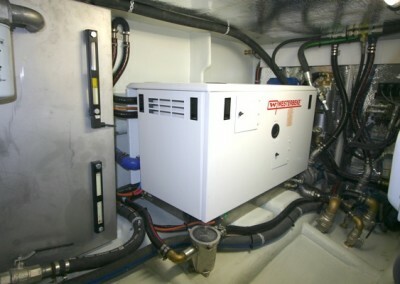 High Speed, High Capacity & High Quality! 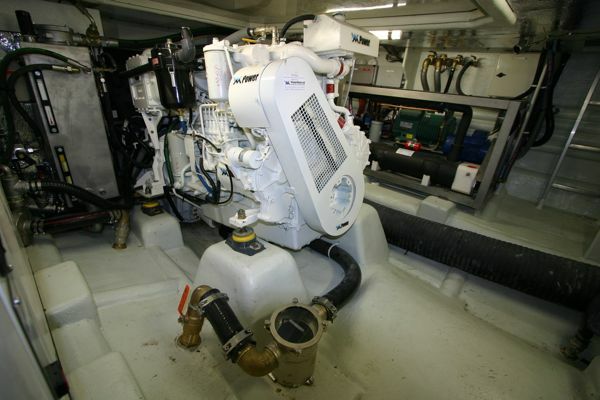 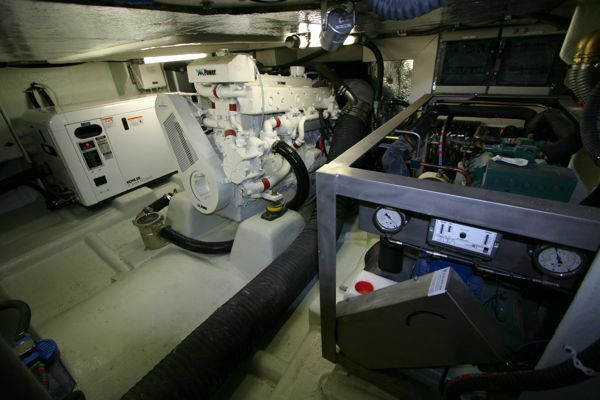 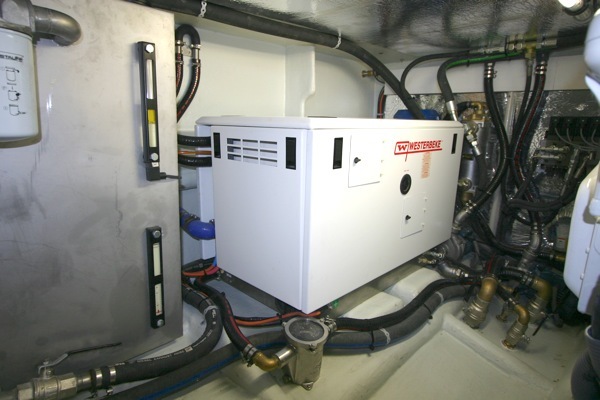 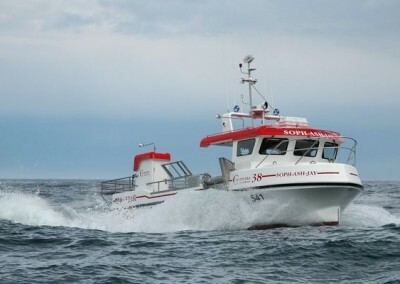 The Cleopatra 38 is probably the most capable vessel in it’s class. 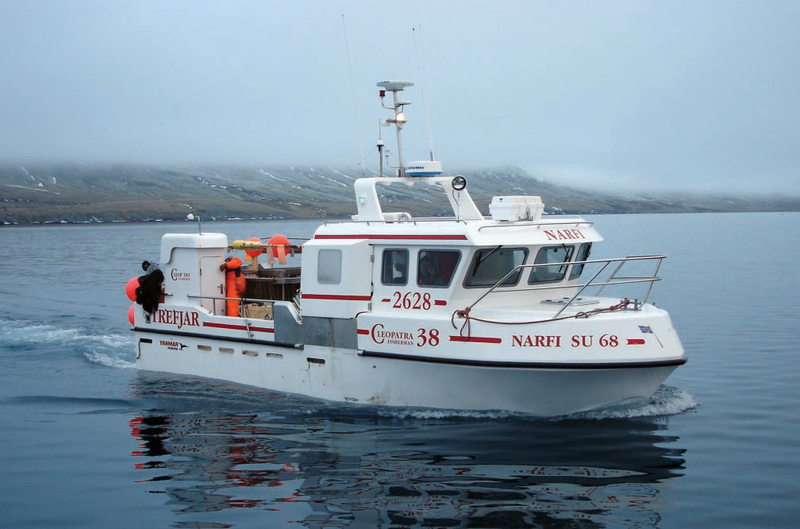 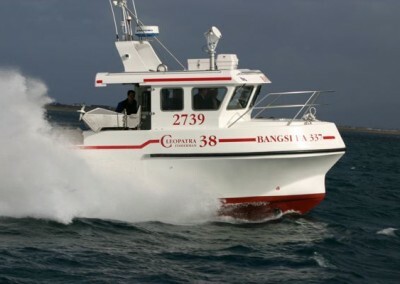 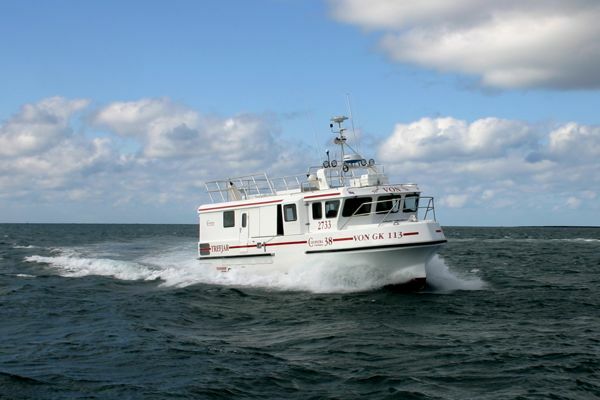 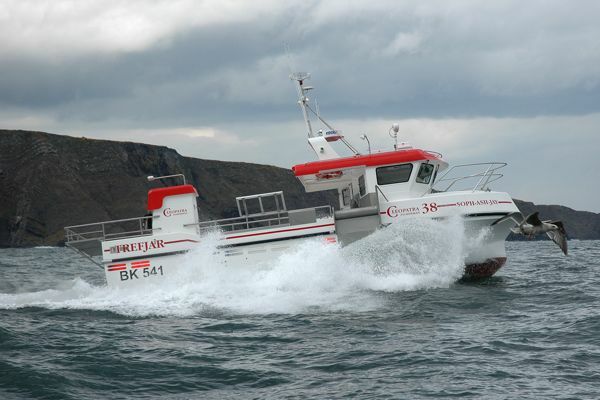 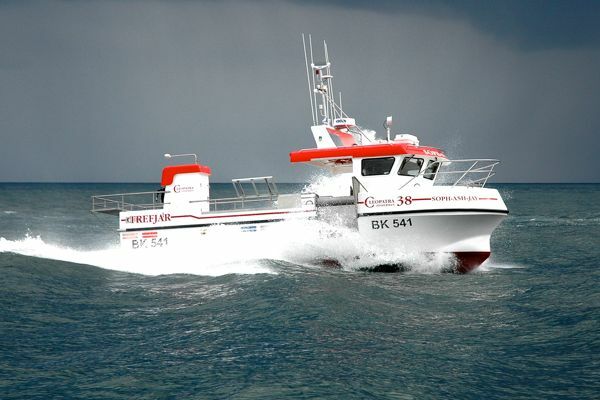 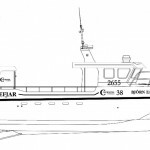 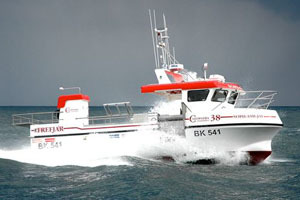 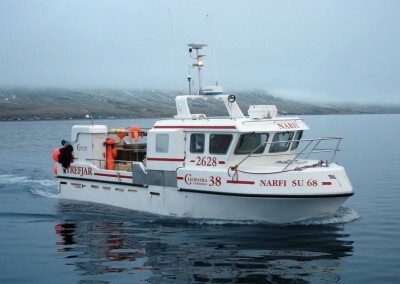 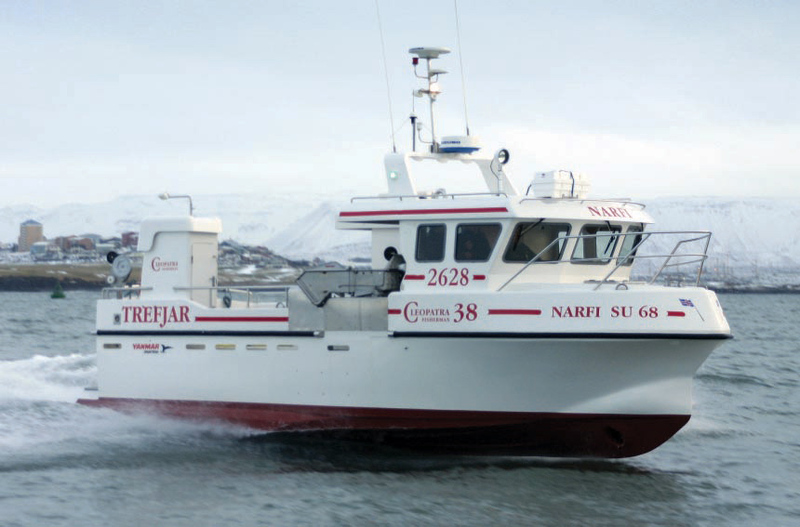 The Cleopatra 38 is a high speed, high quality workboat, designed to meet the exacting standards of professional fisherman working in the harsh conditions of the North Atlantic Ocean. 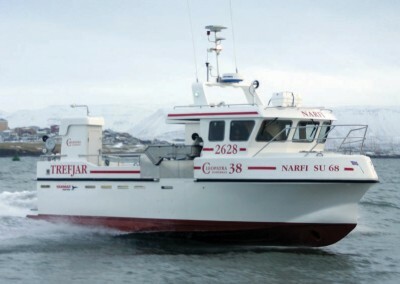 Like her smaller sister, it is built according to the regulations set by the Nordic Boat Standard. 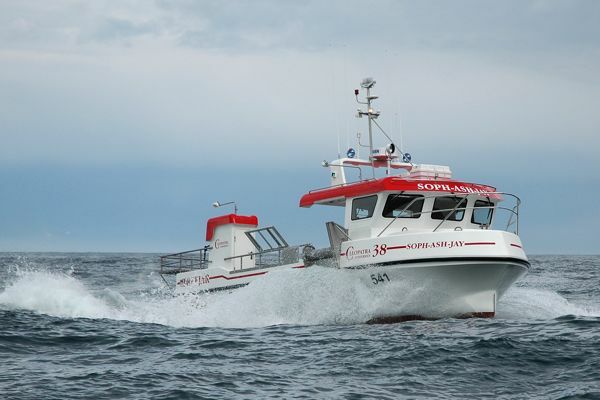 Giving stability, comfort, speed, huge weight carrying capacity and superb seaworthiness! 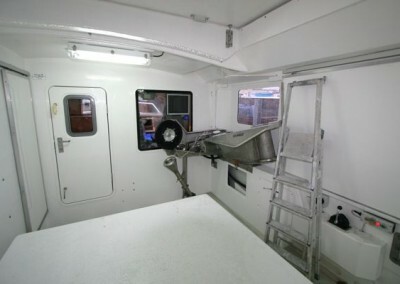 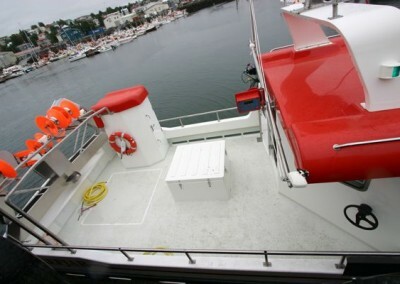 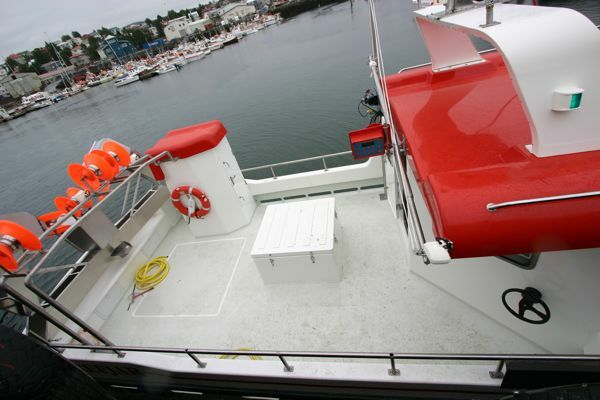 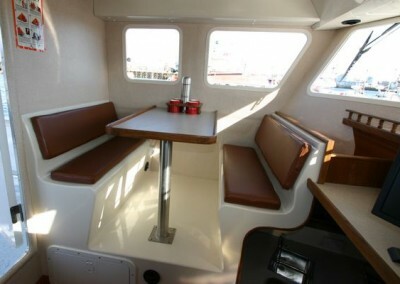 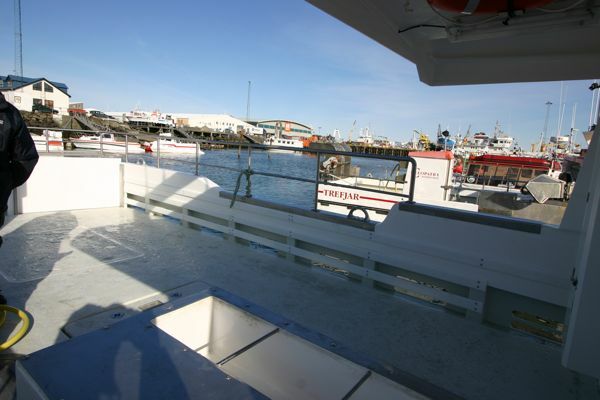 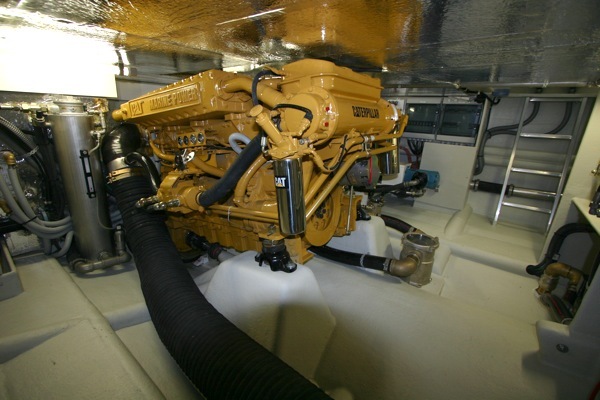 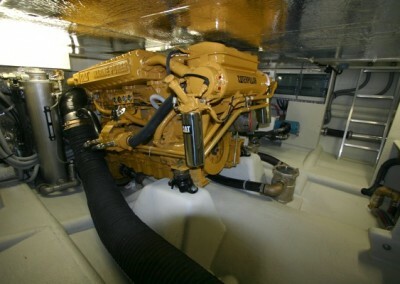 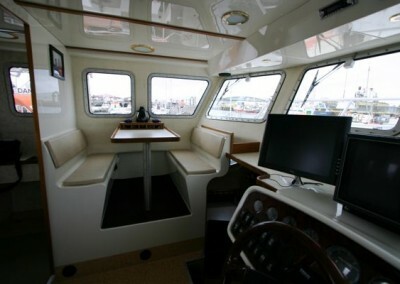 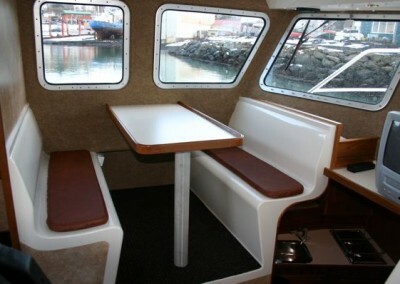 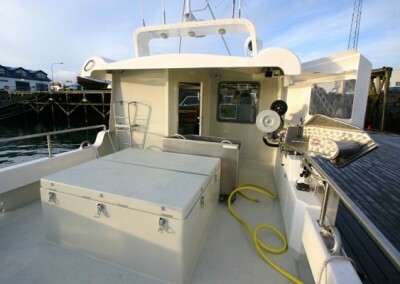 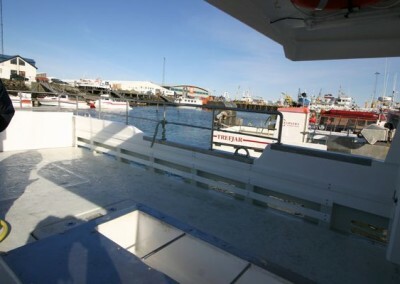 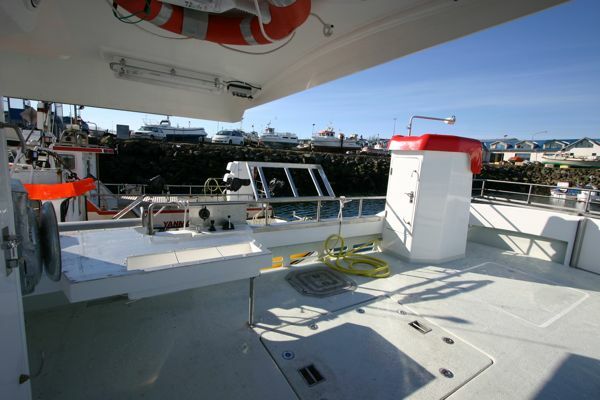 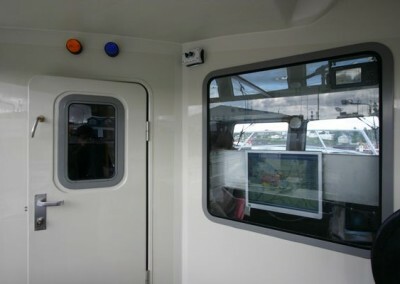 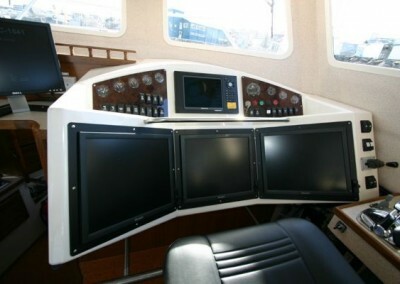 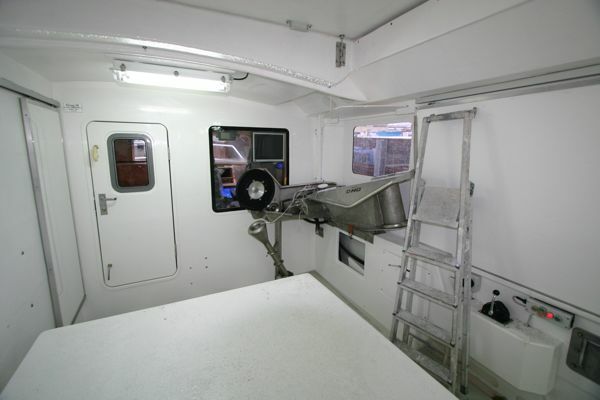 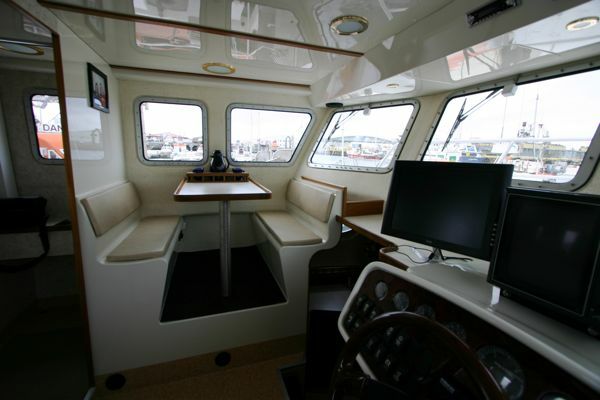 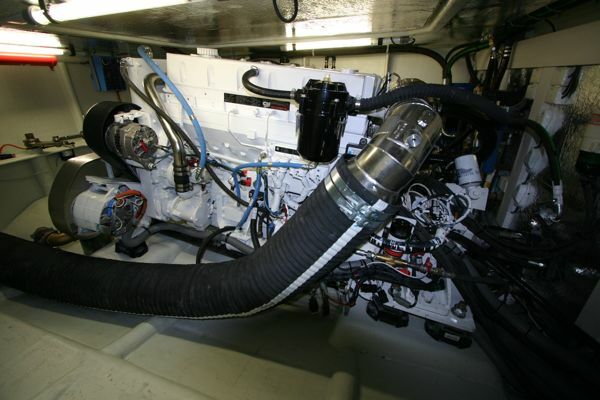 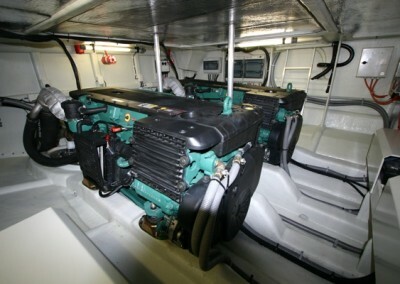 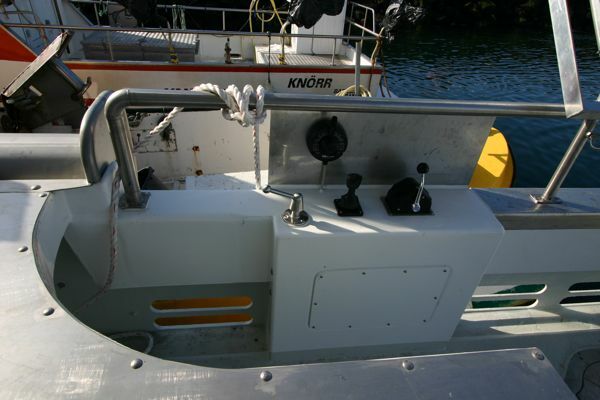 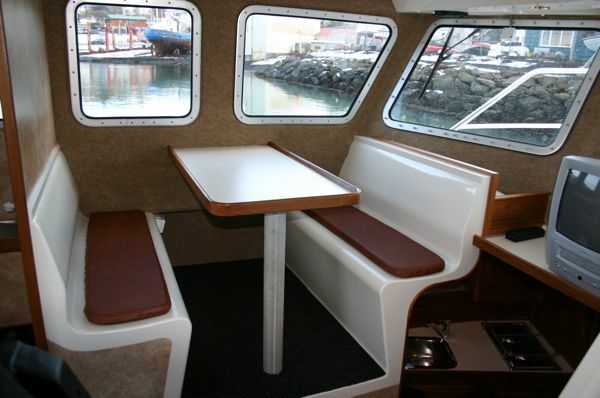 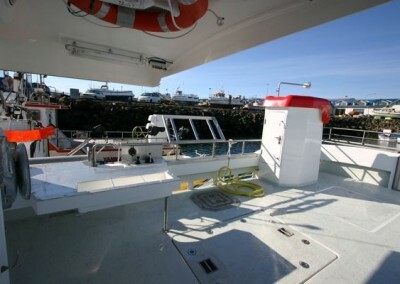 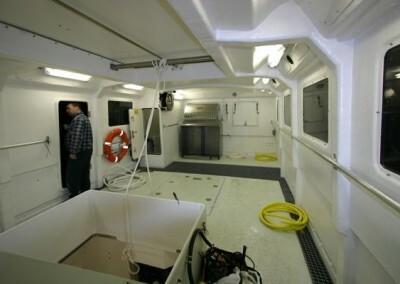 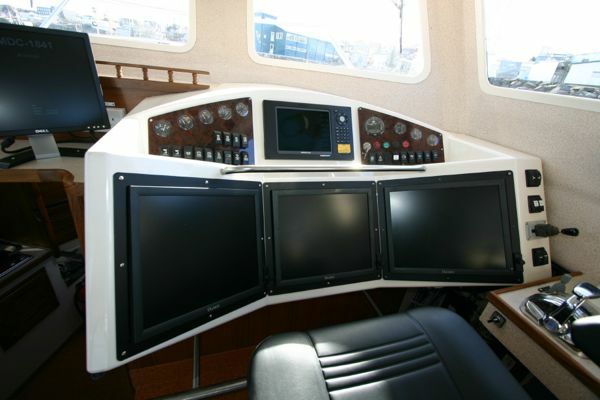 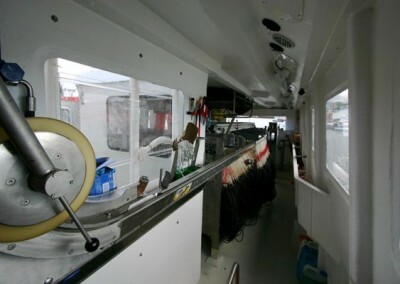 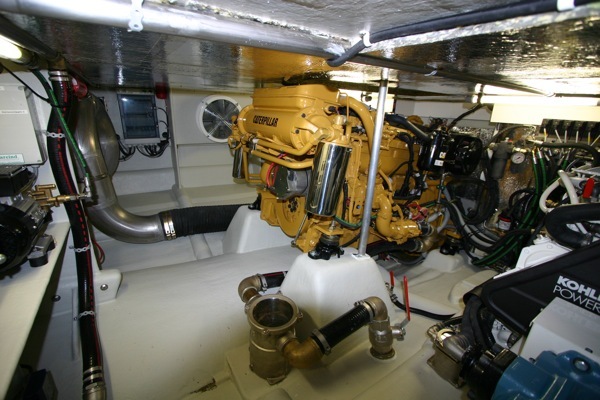 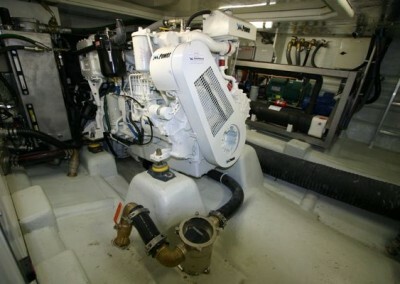 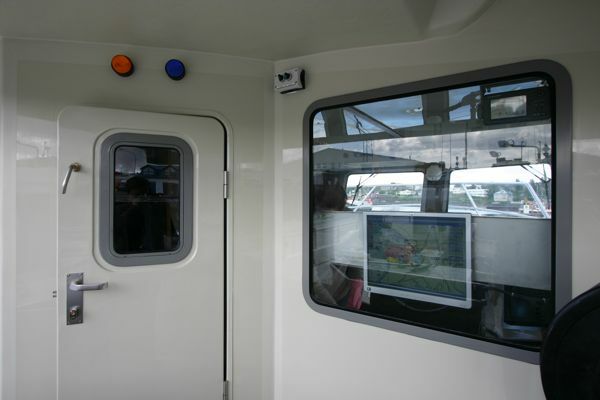 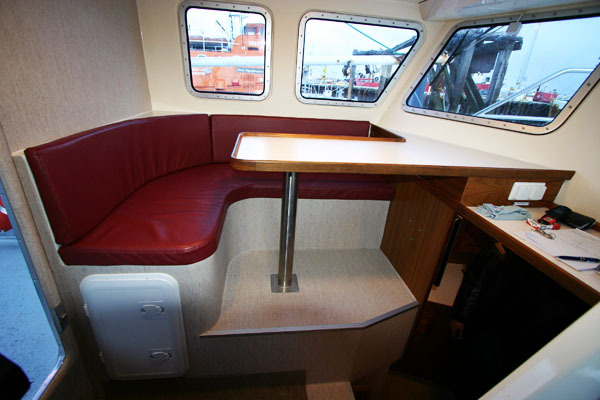 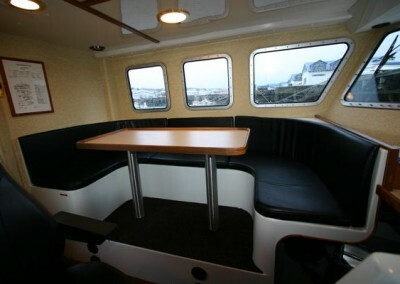 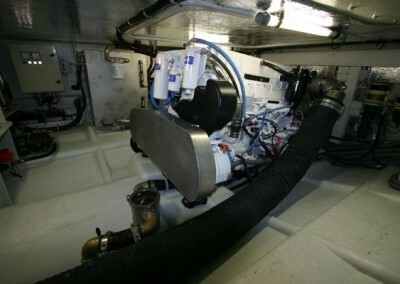 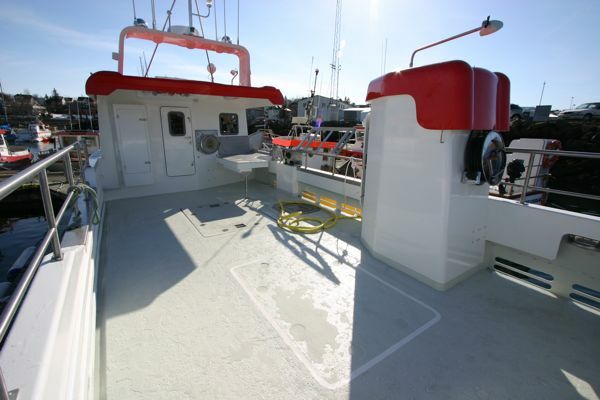 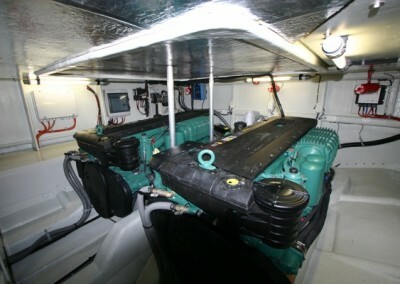 The boat is equipped with high technology fishing equipment and can be fitted f.ex. 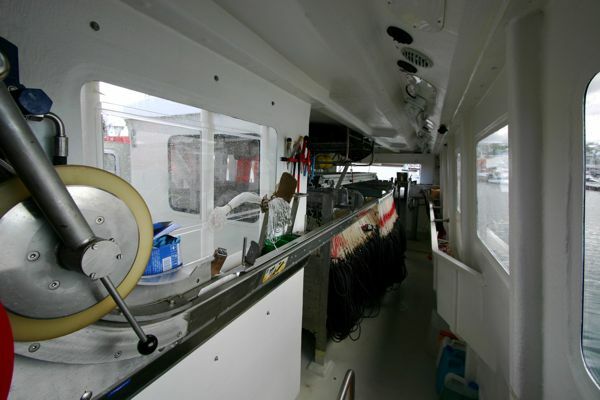 for netting, longlining, jigging, potting and crabbing. 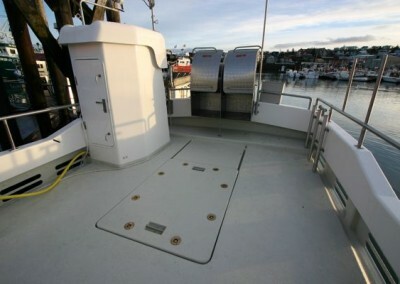 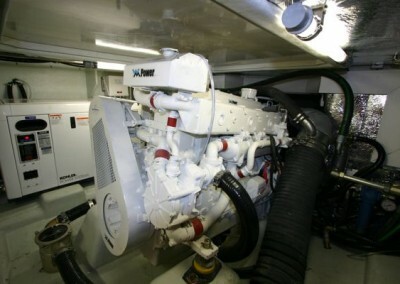 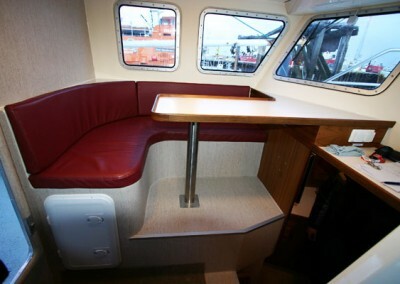 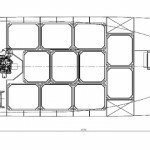 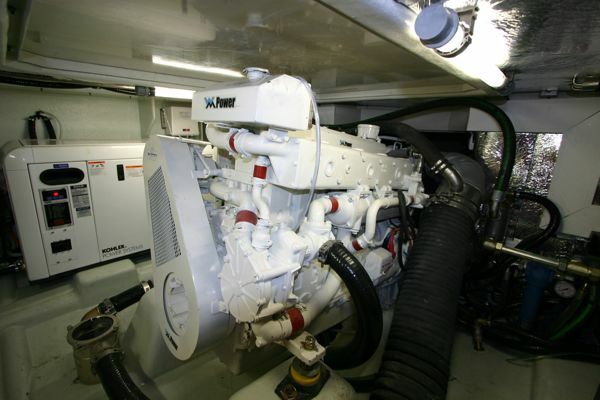 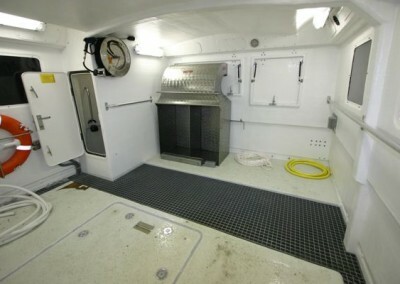 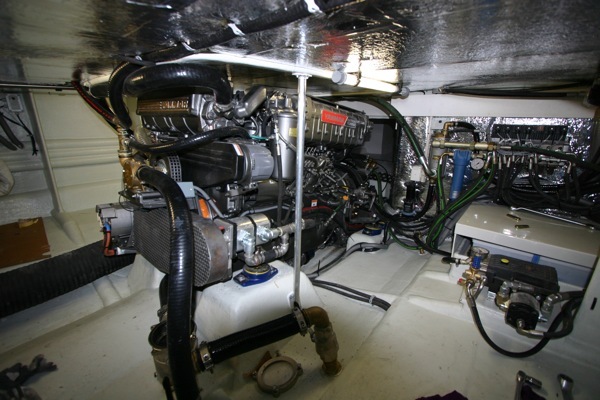 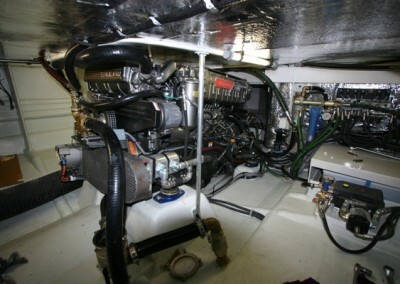 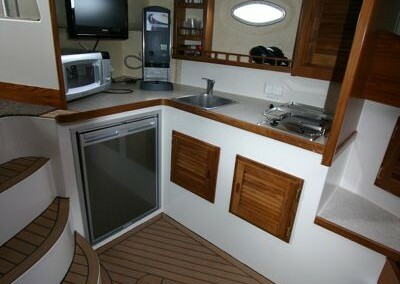 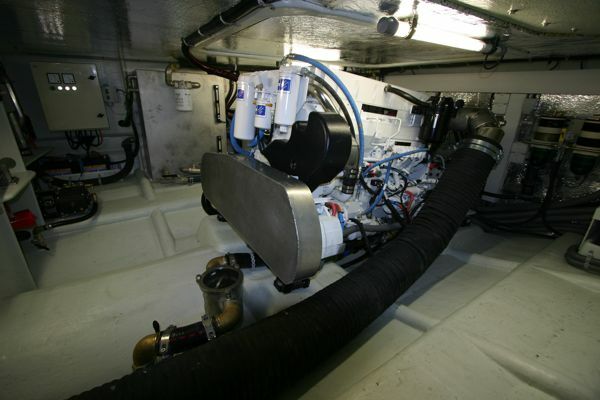 It can also have flush decks and extended wheelhouse if required. 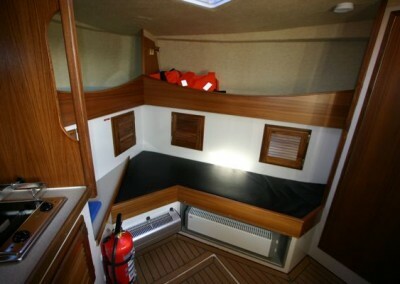 Cleopatra 38 – Only for the very serious. 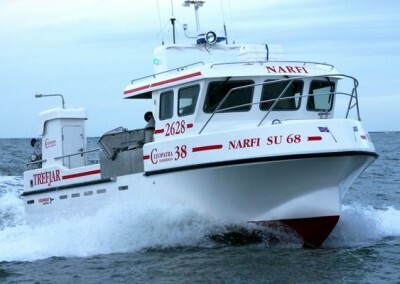 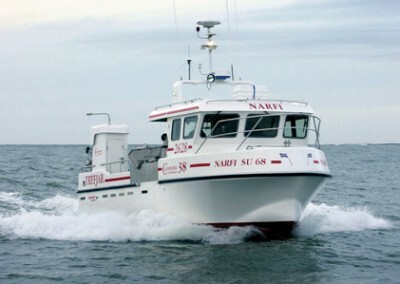 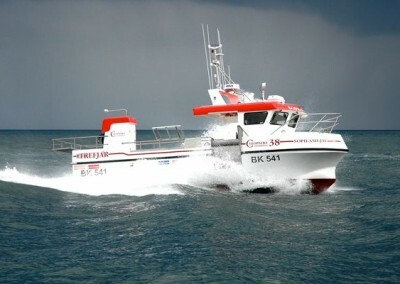 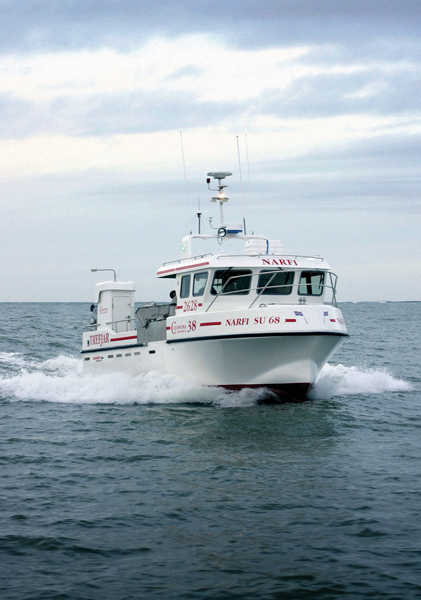 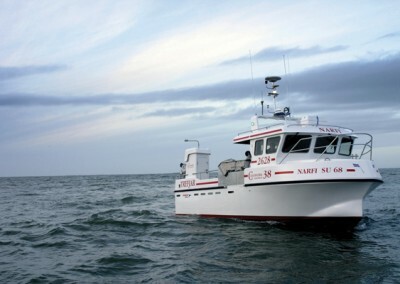 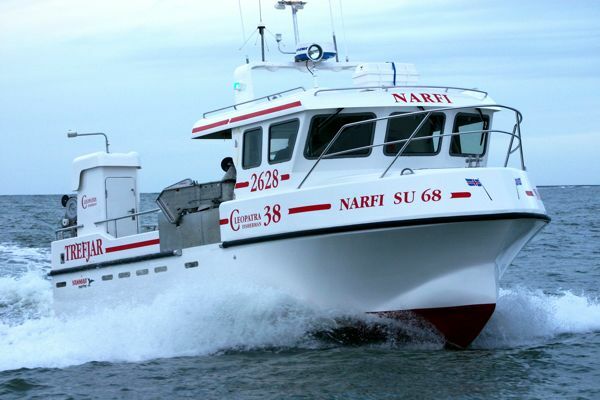 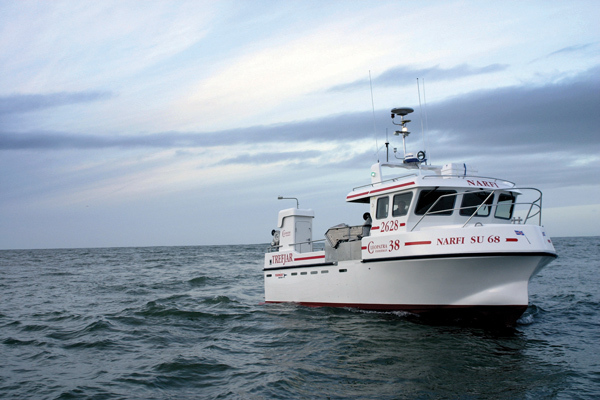 The Rolls Royce of fast fishing boats and probably the most capable vessel in her class. 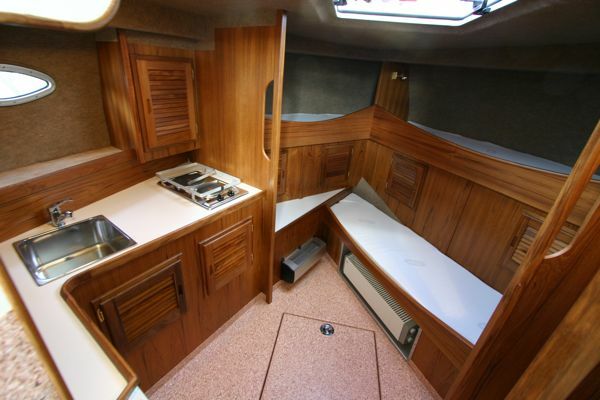 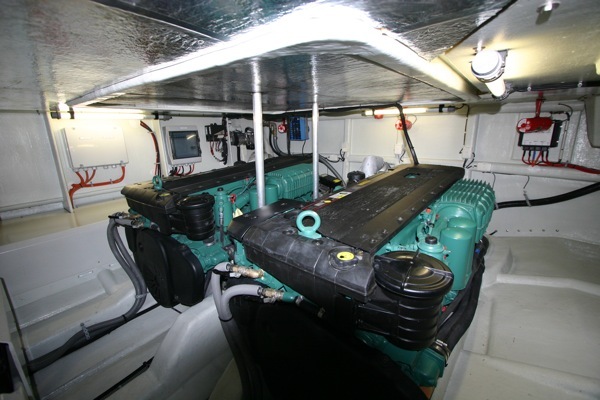 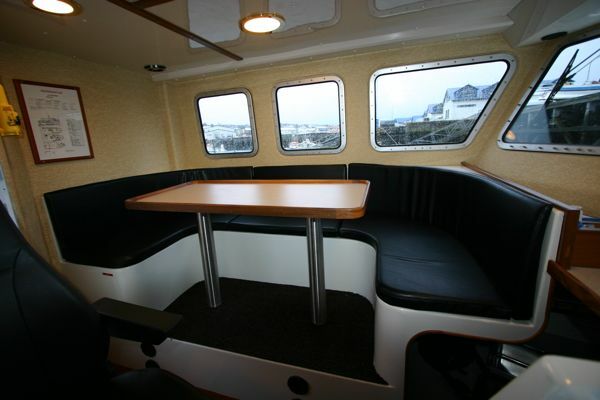 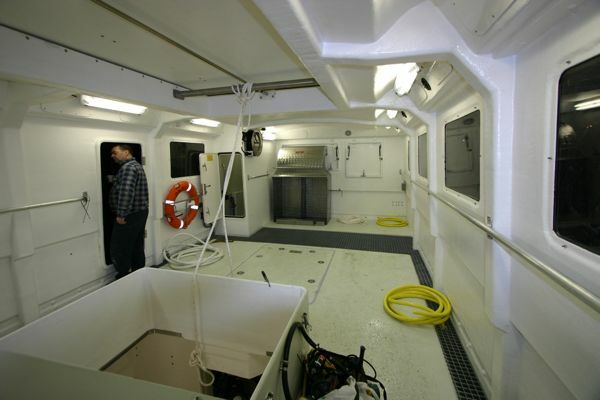 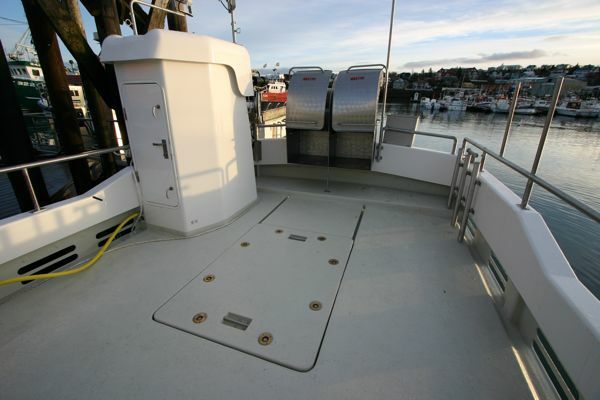 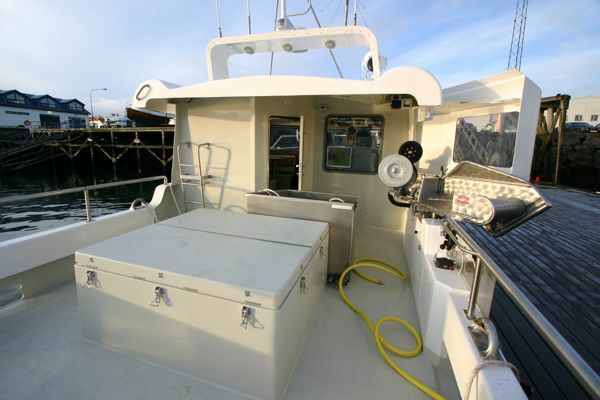 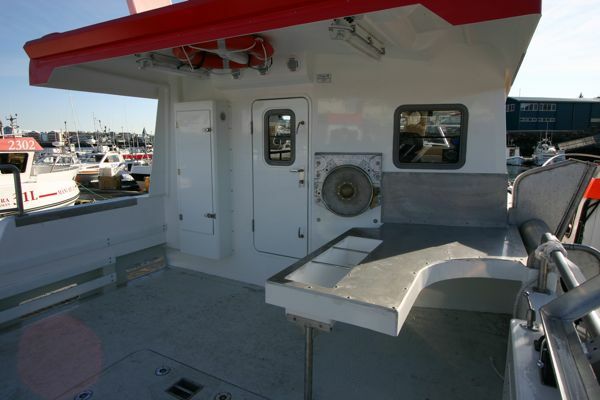 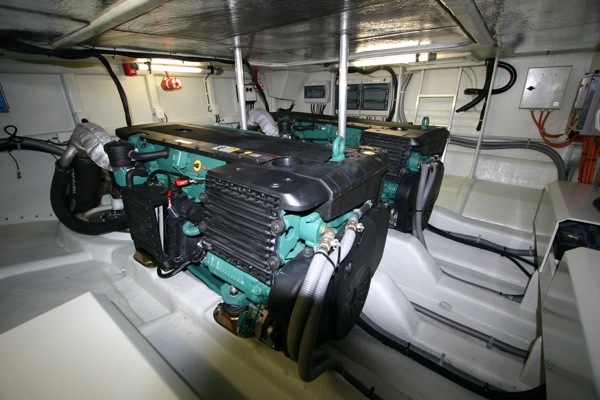 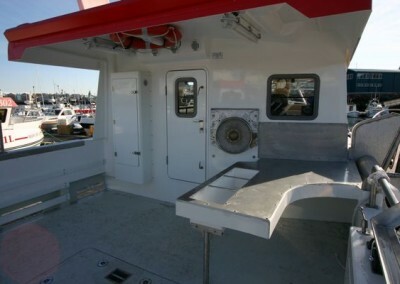 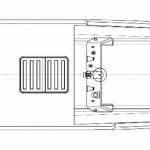 With a massive storage space in the fish hold of up to 18cubic metres, this boat is for the fisherman who needs space and comfort for serious offshore fishing and needs to stay out for extended periods. 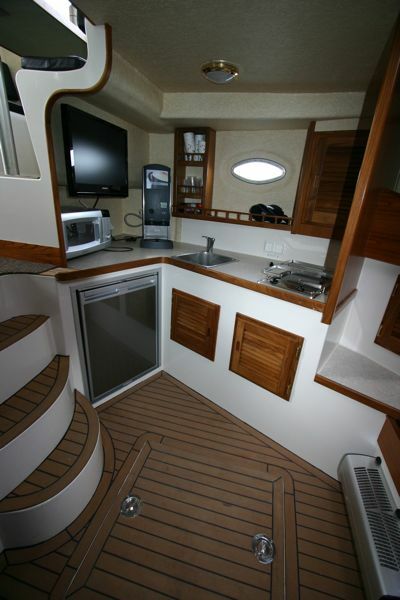 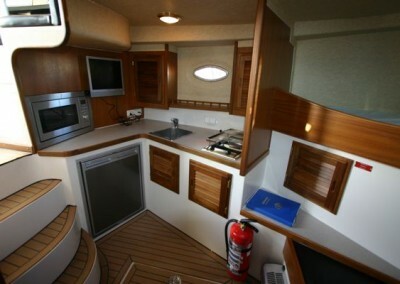 The working deck follows in the same tradition of her smaller sisters with room to spare and also affords the most amazing amount of comfort when off watch, with facilities to sleep up to four people and a galley table and seating to accommodate them. 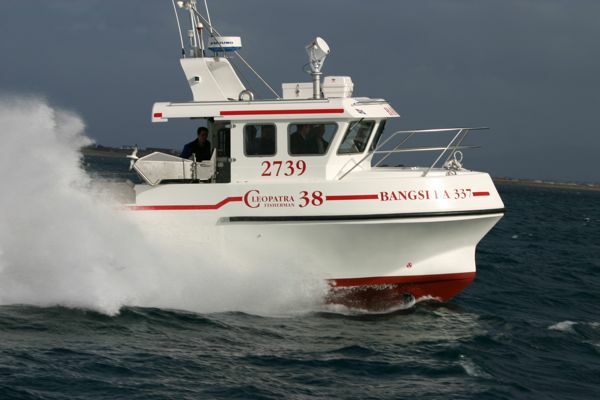 Because of it’s unique layout, the Cleopatra 38 is an extremely versatile boat and can be used for many different applications, such as Charter angling, dive boat, survey vessel, passenger or pilot boat. 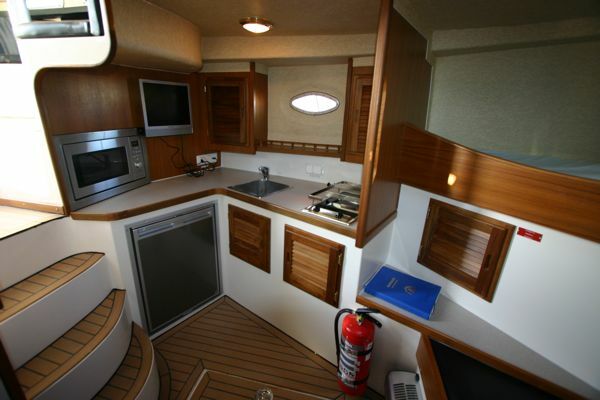 The Cleopatra 38 is a very serious workhorse and probably the best investment you will ever make. 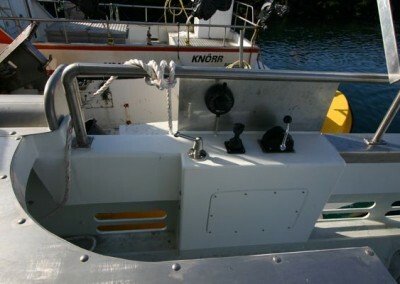 PottingOther types of fishing equipment upon request. 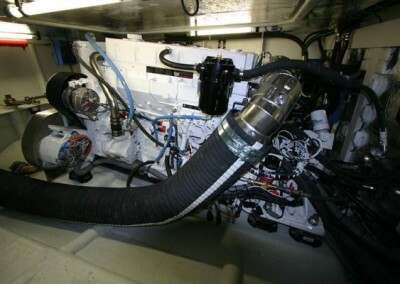 ** Other engines upon request.